We are currently integrating two new flocks into our chicken family. One is the group of chicks Rachel purchased and the other is the group that hatched at the beginning of March. They are currently in the side of the chicken yard with the Bantams until they get big enough to join the big girls. One white hen was apparently ready to move. We looked out yesterday and saw her perched on the fence between the two areas. Seeing her clinging to the fence reminded me of a song – imagine that! 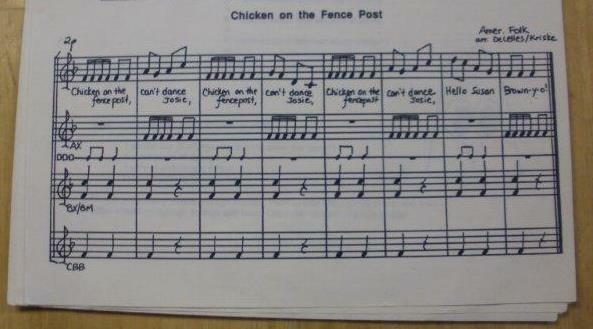 I found this one in a packet I received at a music teacher convention in 1993 – Chicken on a Fencepost. Here is the music so you know I’m not making this up. 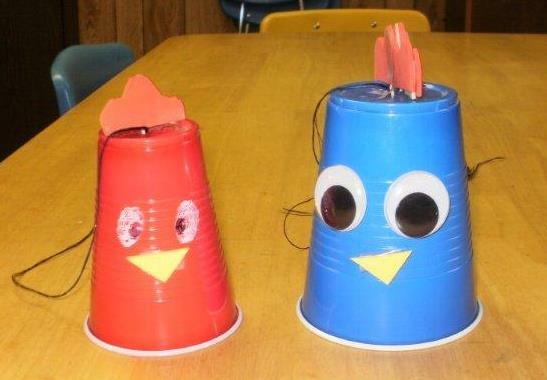 It even came with directions on making chicken puppets, which make very authentic chicken noises. When I tried them at home, all the chickens came running to the fence to see the new girl in town. To make the chicken sound, you pull a damp sponge over the string at the top. 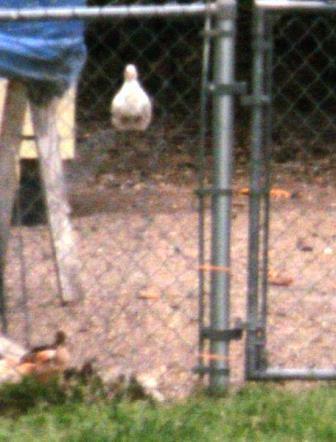 Who would have thought in 1993 that I would actually have a chicken on a fencepost at my house? Life sure is interesting – even stranger than fiction.